If there's one thing Mark Zuckerberg has consistently excelled at as Facebook's CEO, it's destroying his enemies. When Google (GOOGL) launched Google Plus, a rival social network, Zuckerberg put Facebook (FB) in a state of "lockdown" and informed employees that "Carthage must be destroyed," according to one tell-all book from a former employee. After Snapchat (SNAP) began gaining traction several years ago, Zuckerberg tried to buy the company and, failing that, pushed out a long list of features and new apps to clone the disappearing messaging app. Google Plus is no longer viewed as a threat to Facebook. Snapchat is struggling to grow its audience. Now, Zuckerberg is turning his focus to a new enemy: Facebook itself. On Thursday, Facebook announced a major change to News Feed, its central feature, to prioritize posts from friends and family over posts from publishers and brands. 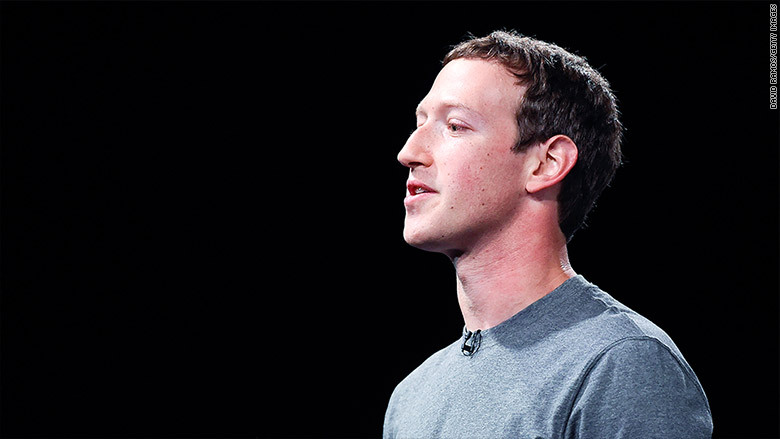 The goal, according to Zuckerberg and Facebook, is to boost the "well-being" of the billions of people who use the social network by encouraging users to have more conversations and connections with peers, rather than being bombarded by brands. In short, Facebook wants to show the world that it can still be a positive force in peoples' lives -- or at least show that it's really, truly trying to be. Since the 2016 U.S. election, Facebook has come under fire for stories about fake news, Russian propaganda, filter bubbles and social media addiction. Facebook has also been described as enabling ethnic cleansing in Myanmar and Facebook's WhatsApp was cited as a cause of beatings in India after a fake news story went viral. Suddenly, the most existential threat Zuckerberg faces isn't some rival service. It's his own. The media is increasingly fixated on the dark, unintended consequences of Facebook and other social networks. Regulators are scrutinizing the company more than ever before. Former Facebook executives have spoken out to express regret about what they built. And so has Zuckerberg. "For the ways my work was used to divide people rather than bring us together, I ask forgiveness and I will work to do better," Zuckerberg wrote in a Facebook post for Yom Kippur in September. 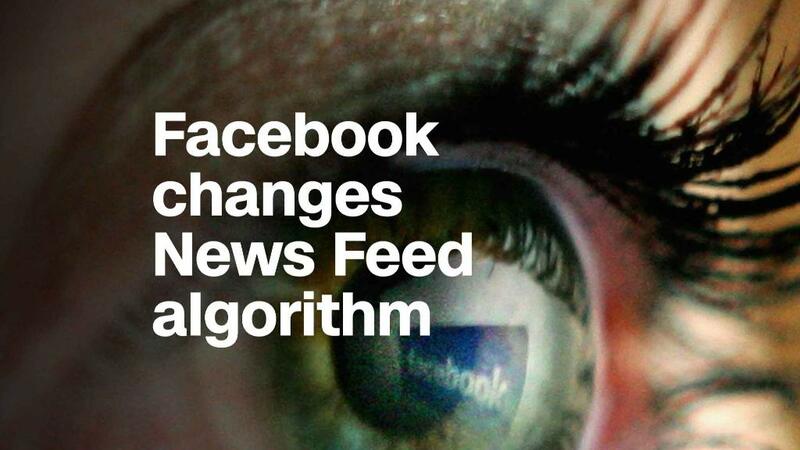 "Controlling the narrative at this juncture is critical, particularly when it comes to the press and regulators," James Cakmak, an analyst with Monness, Crespi, Hardt, wrote in an investor note Friday morning about the News Feed change. Perhaps with that goal in mind, Zuckerberg has already gone on a listening tour across the country, revised the company's mission statement and pledged to cut into Facebook's profits to prevent abuse of the platform. Earlier this month, Zuckerberg said his personal goal for 2018 is to focus on "fixing" Facebook's many problems. The short list he cited includes "abuse and hate, defending against interference by nation states, or making sure that time spent on Facebook is time well spent." The News Feed update is the first of those fixes, refocusing the company on the quality of time users spend on the platform, rather than the quantity. Even if it ends up helping Facebook's public image, there are other risks here for Zuckerberg. The News Feed change has already rattled publishers and investors who worry about it now being harder for businesses to reach customers on the platform. Facebook's stock fell 4% in early trading Friday. Then there are the societal concerns. If the last year has shown anything, it's that seemingly banal product decisions can yield tremendous unforeseen consequences. By prioritizing content that sparks conversations with friends, Facebook could risk promoting more polarizing and opinionated posts that generate lots of comments, only adding to the filter bubble. But inaction isn't an option for Zuckerberg either. Not only is he trying to protect Facebook's image, he's also trying to protect his own. In one interview published Thursday, Zuckerberg suggested a renewed interest in his legacy following the birth of his two children: "It's important to me that when Max and August grow up that they feel like what their father built was good for the world."